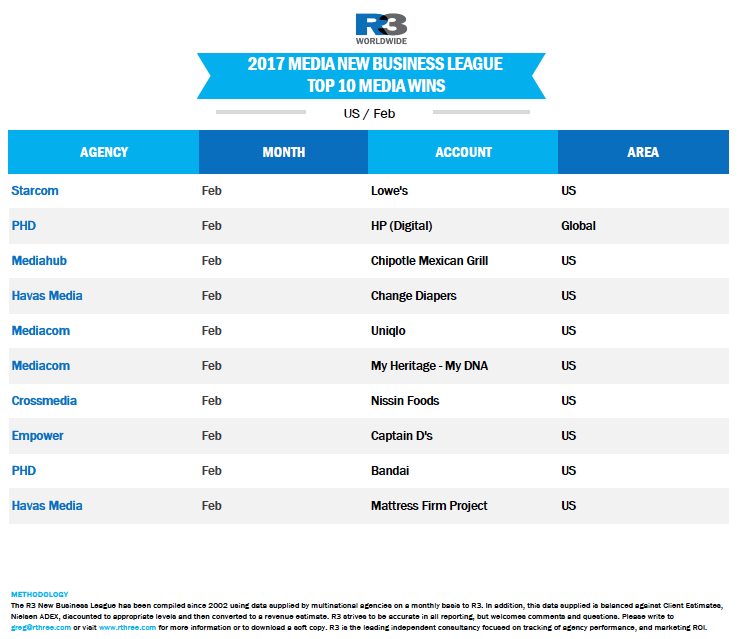 Big movers for the month include Droga5, 72&Sunny and PHD. 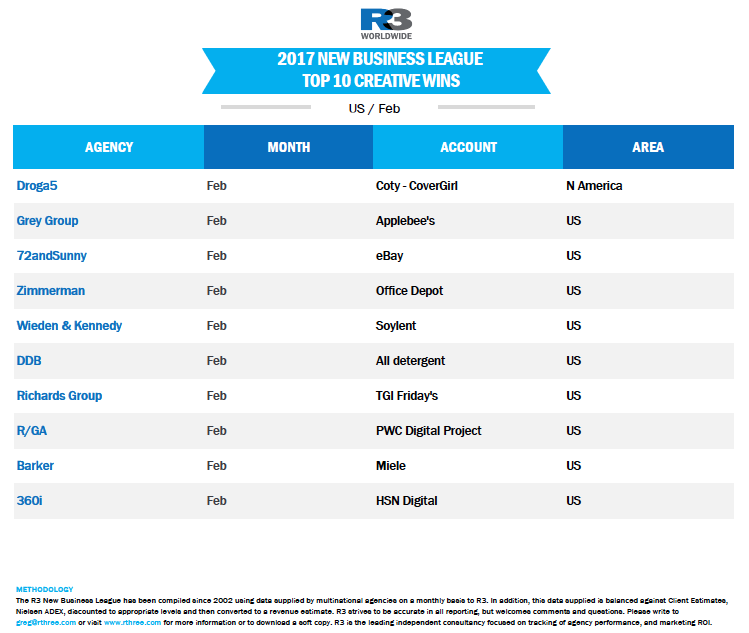 McCann maintains the top spot among creative and digital agencies with 84 global wins this year already. The fastest movers this month were Droga5, nabbing Coty's Cover Girl assignment for North America, and DDB, which won a major piece of the Lufthansa business. 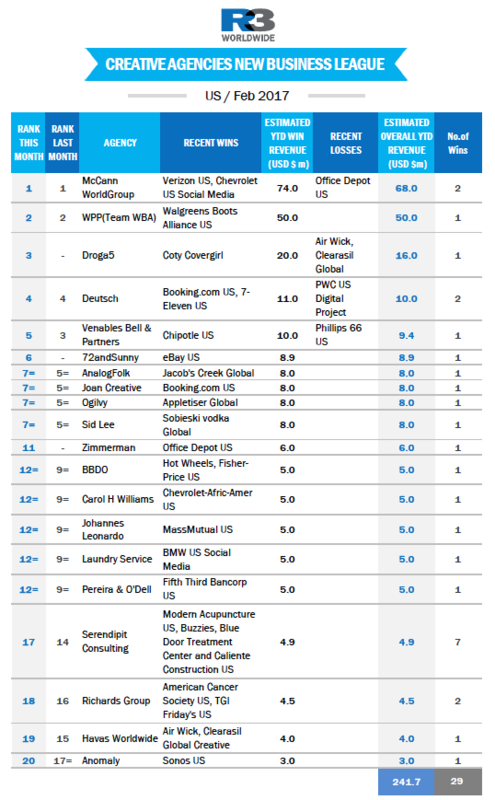 R/GA (ranked seventh) continues to lead all other digital agencies. 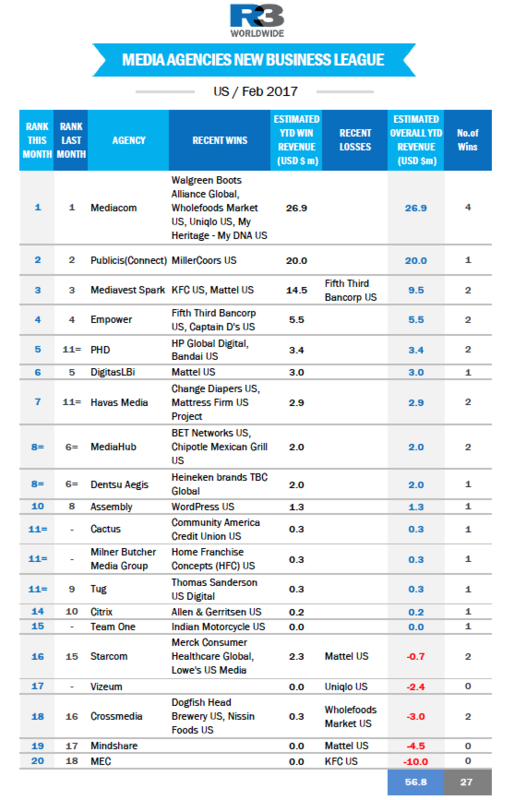 Among media agencies, MediaCom maintained the top ranking, with wins across multiple continents for P&G and others. PHD bagged both the global HP business along with Huawei in China to leap up 18 positions to seventh. 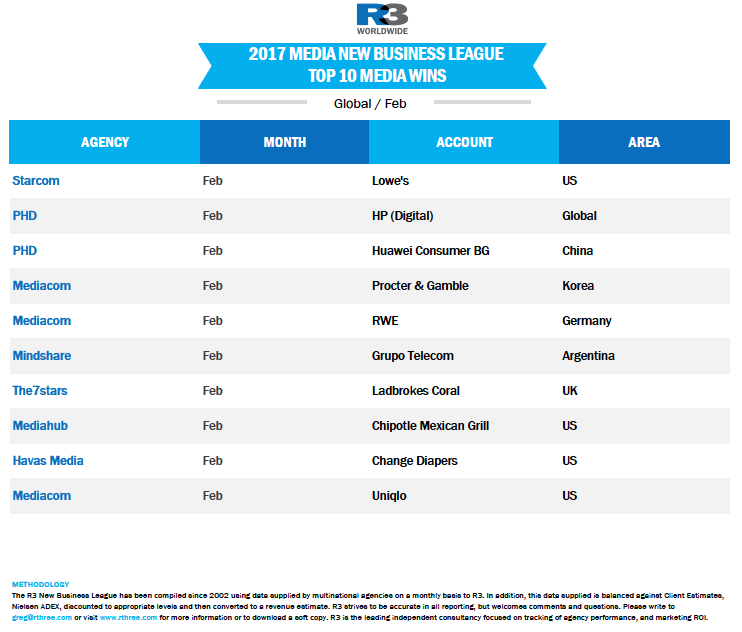 In the US, there was no change in the top two positions, with McCann and Team WBA from WPP leading the way. Droga5's Cover Girl win swept them into third with 72&Sunny moving into the top 10 on the back of the eBay win. 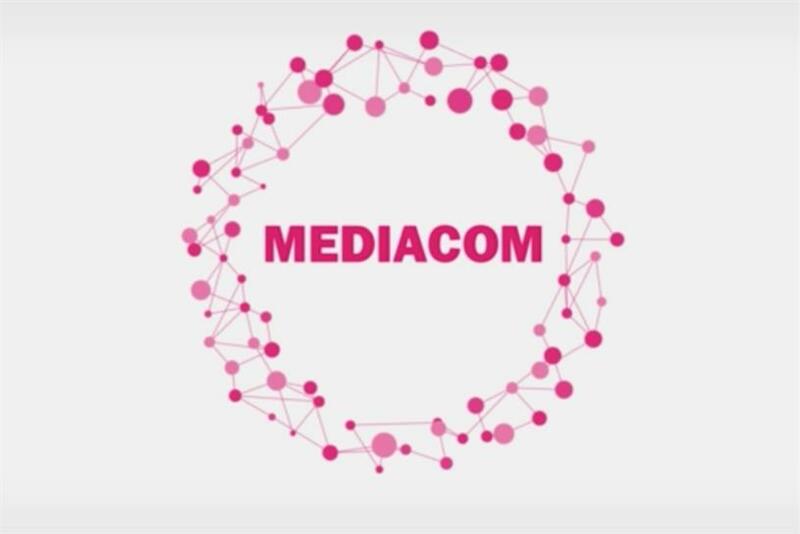 Among media agencies, Starcom's Merck and Lowe's wins mostly offset losses from Mattel and others, but MediaCom continued to lead the way, bringing in Uniqlo and the My Heritage business. PHD was the fastest mover courtesy of the HP win.